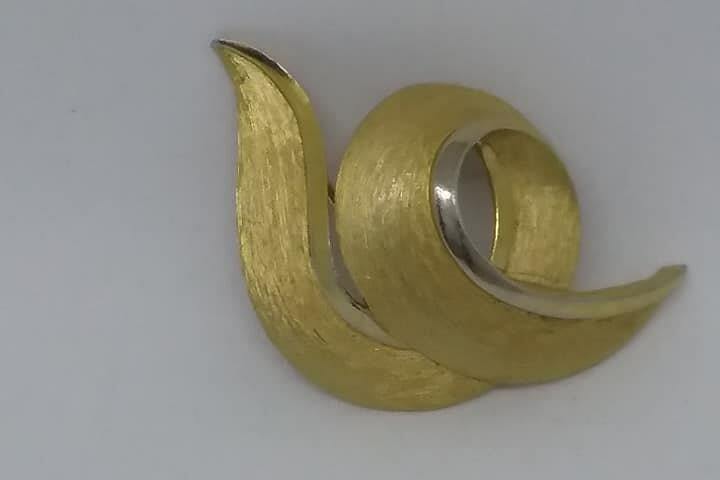 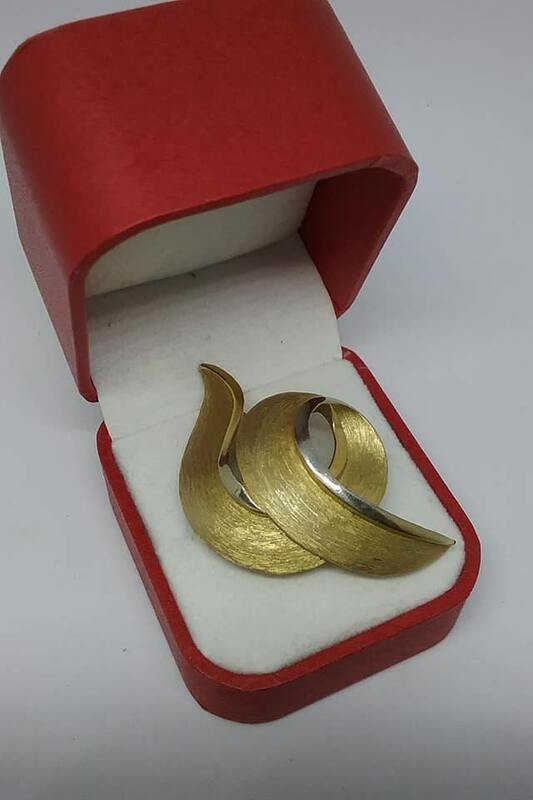 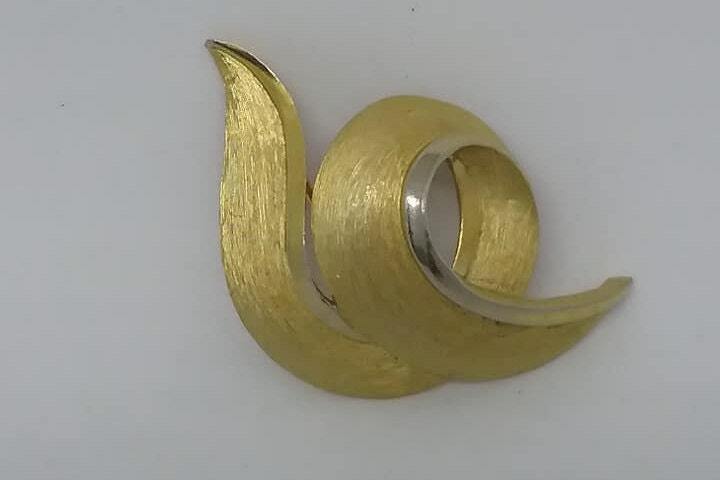 Vintage Trifari Golden Ribbon Swirl Brooch. 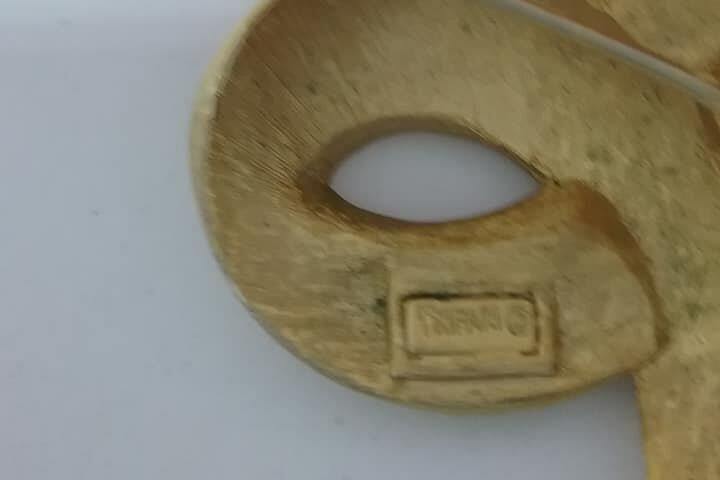 1960's, Trifari classic. 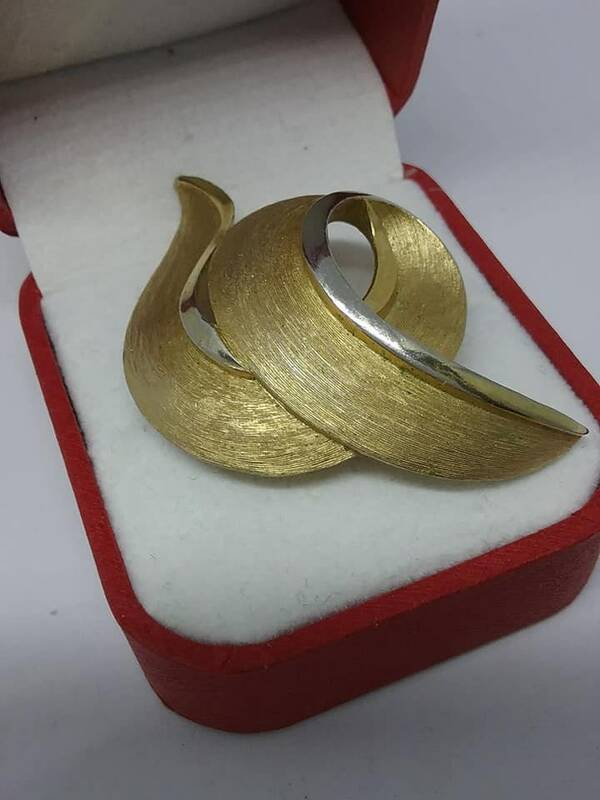 A brushed gold tone ribbon swirl with shiny gold tone edge. 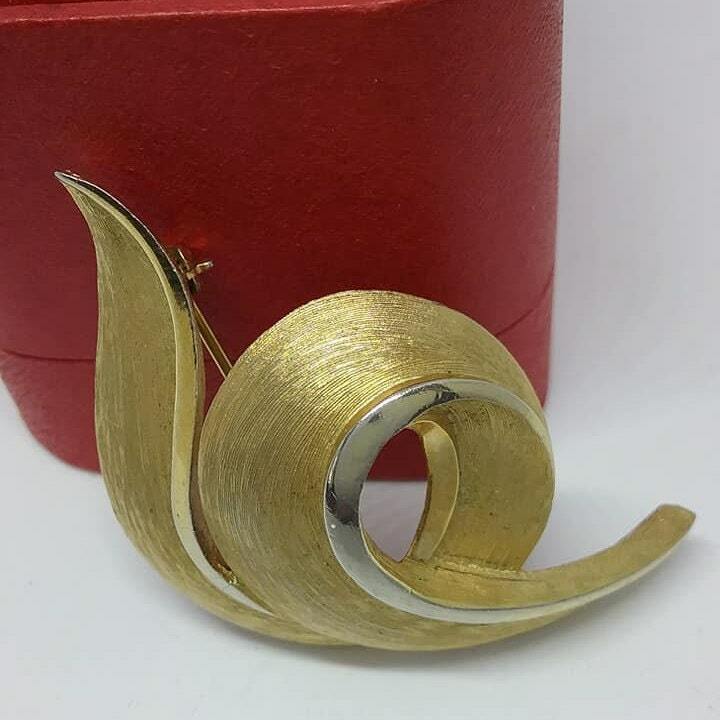 This hallmarked Trifari is in very good to excellent vintage condition. 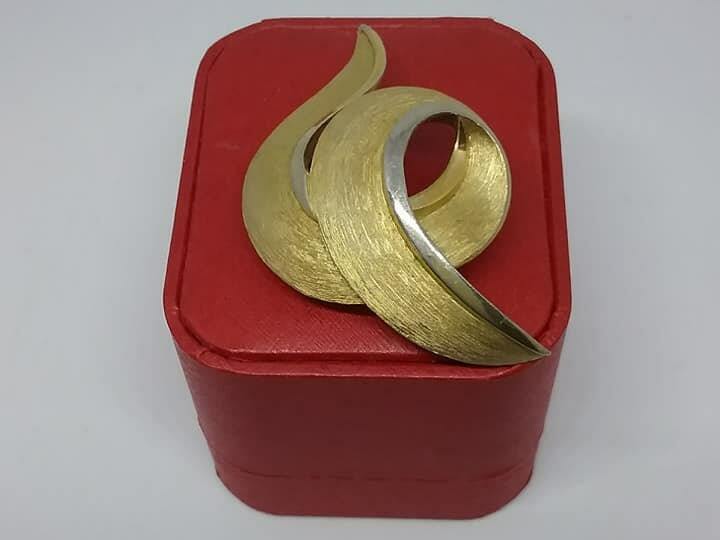 A beautiful mix of finish with the smooth lines, make this brooch a feel of classic beauty, and yet, with a modern edge.